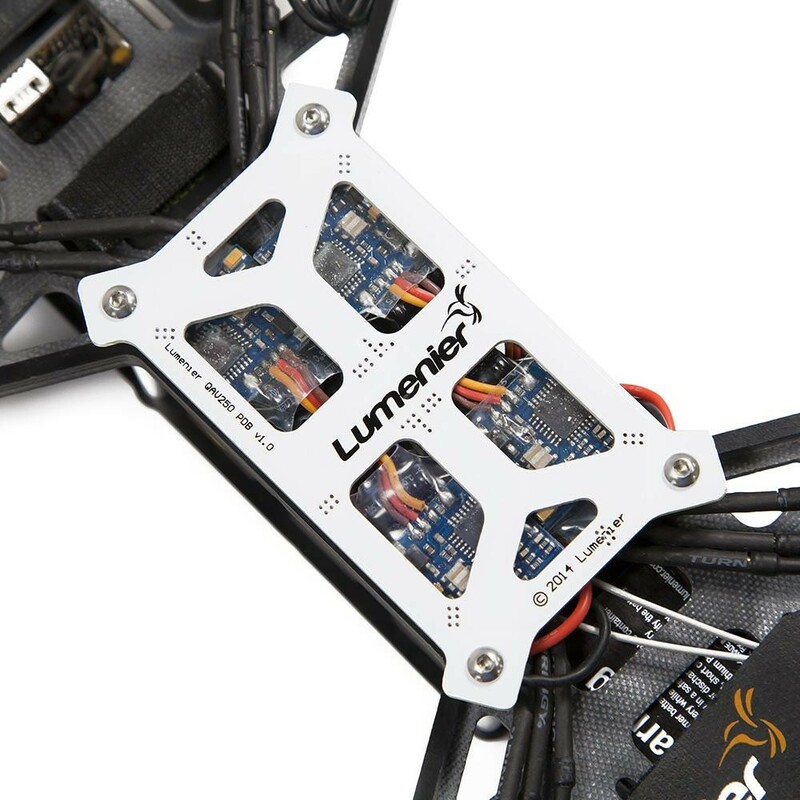 The Lumenier QAV250 Carbon Fiber Mini FPV Quadcopter ready to fly system from Lumenier is a small lightweight First Person View racing quad. The QAV250 Mini FPV Quadcopter Carbon Fiber Edition is made from 3mm 3K carbon fiber which gives excellent crash resistance, the symmetric 250mm size airframe accommodates 5" props while still allowing for a fully functional First Person View quadcopter. The 250mm is measured from motor shaft to motor shaft diagonally across the airframe. 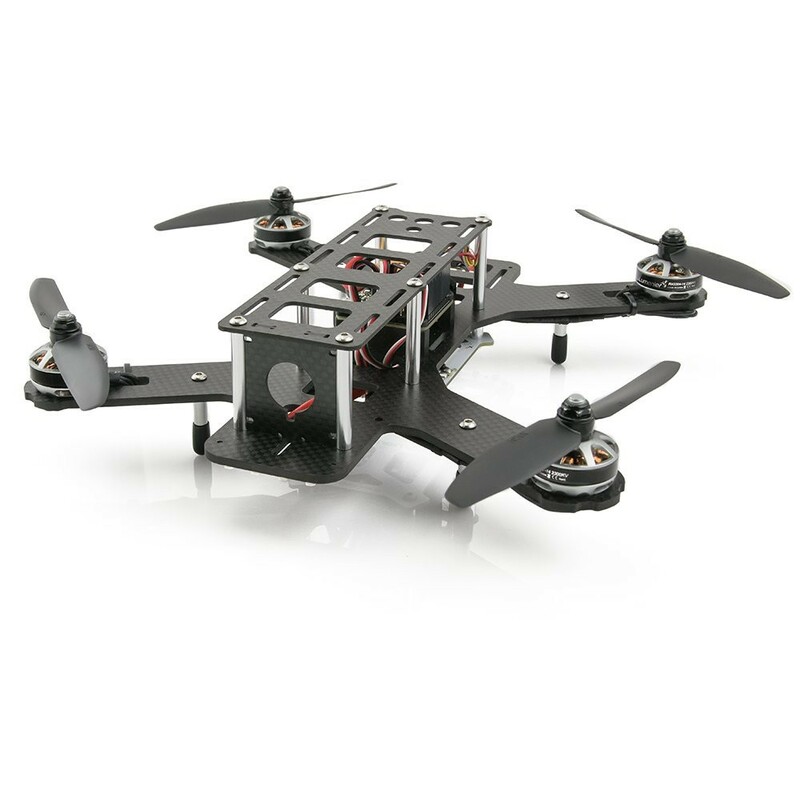 The carbon fiber QAV250 is not only lightweight but offers great crash resistance which comes from the main frame board being made in one complete part including the arms, this is known as the Unibody. There are landing legs which are installed on the arms, these can be removed if required. The motor mounting points have been cut into the frame arms to allow a number of motor upgrade options if needed, each arm has an additional few mm’s or material which will allow the motors to be protected from knocks and bumps. There are 2 power distribution boards integrated in to the QAV250 ready to fly system, this means that the airframe has easy connection points and configuration of the electronics for the ESC’s and the First Person View system is laid out in a very compact configuration. There are two LED boards for visual navigation which assist with orientation of the craft when not using with FPV equipment, these are white and red in colour. The flight controller cover board has cutouts for SMA connectors and adapters used with FPV equipment.. The airframe of the QAV250 carbon edition is only 170 grams, this includes landing legs, LED’s and power boards. 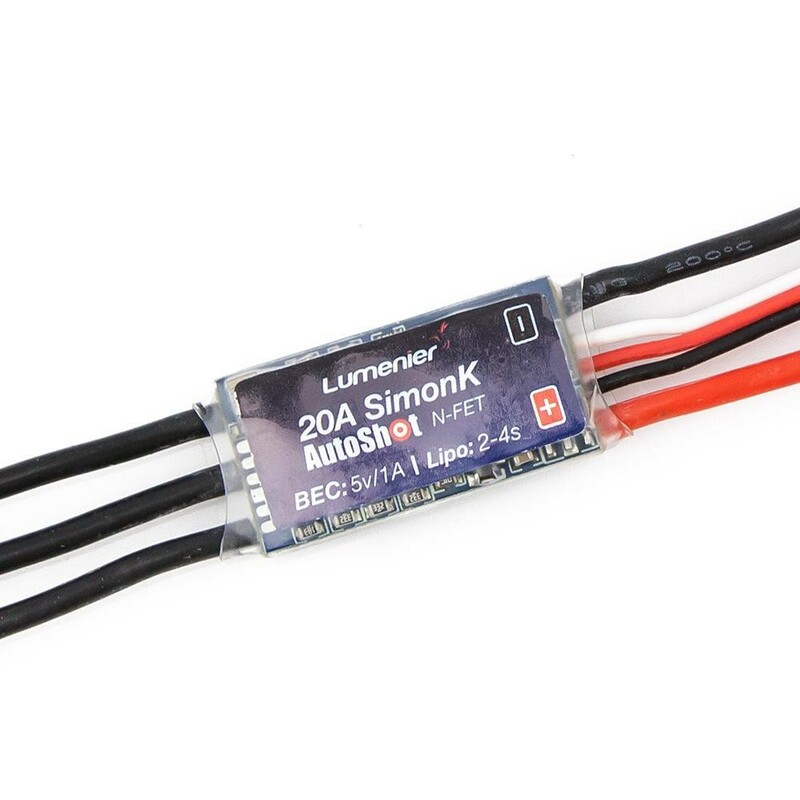 The recommended battery for the QAV250 is a 3s lipo with the maximum dimensions of 70 x 32 x 22 mm’s with a 35 C rating. 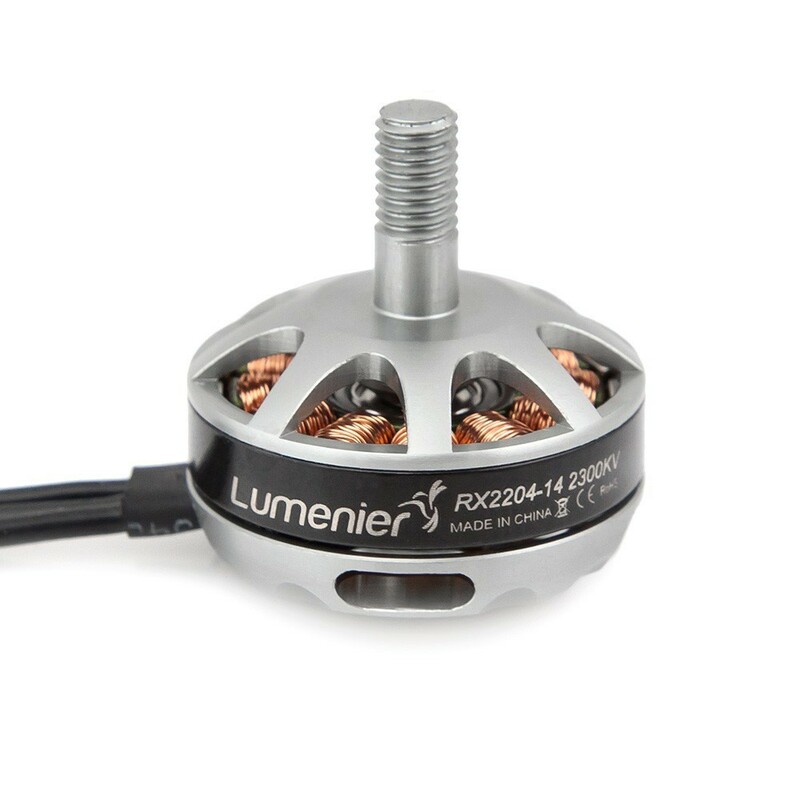 The recommended all up weight on the QAV250 for take-off is 500 grams. Cameras supported on the QAV250 are 32mm board cameras and other small cased cameras like the Fat Shark Pilot HD V2 720p HD FPV Camera with a mounting bracket, / velcro or Mobius cameras can be carried on the QAV250 systems. 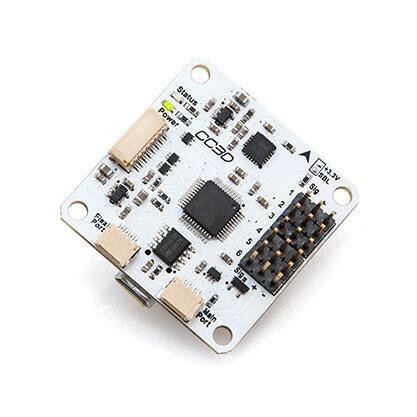 The included Naze32 flight controller comes pre-flashed with the latest version of Baseflight. You can download the software here. To ensure your radio is hooked up correctly, we suggest you connect the CC3D board to your computer via a USB cable (not included) and the available OpenPilot GCS software. The CC3D board has already been pre-programmed for you and test flown, so all of the tuning is already done for you. Do not re-flash the board with new software without first backing up the settings or you will lose the pre-programmed settings. When you receive the RTF all you need to do it install your radio receiver into the QAV250 (make sure to bind your receiver to your radio), and then plug in the CC3D board to your computer once you've downloaded and installed the GCS software. (Always make sure you remove all propellers when programming) Do not run the "Vehichle Setup Wizard" which will have you reflash the board and wipe all the settings we already have done for you. Instead go to the "Configuration" tab on the bottom, then to the "Input" tab on the top left. In this menu you'll see an option to run the "Start Configuration Wizard" which will walk you through the steps to configure your radio with the CC3D board. Complete this wizard and once you're finished you can set your "Arming Settings". Flight modes have already been pre-configured, but you can change those if you like. Now you're all done!